Search for Oceanport condos for sale. The condos in Oceanport are in one of four condo complexes. You can find condos for sale that have either two or three bedrooms. And all of the condos have a garage. The condo complexes are Kimberly Woods, Bridgewaters, Harbor Pointe and Waters Edge. Some of the condos in Oceanport are waterfront units, also some of the condos even include your own boat slip. Oceanport’s condos are in a great location because Oceanport is only two miles to the beautiful Jersey Shore oceanfront beaches. Also close are Pier Village in Long Branch and Red Bank. Additionally, Monmouth Park Racetrack is located in Oceanport and features thoroughbred horse racing. Shopping is abundant along Route 36 and Route 35. A major mall, Eatontown Mall, is just minutes away. 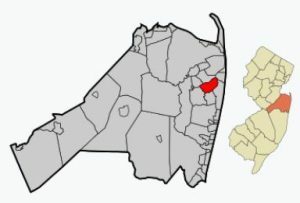 The 2010 Census reported that the population of Oceanport was 5,832 people. The train takes approximately one hour to New York, the New Jersey Transit train stations in Little Silver or Long Branch are close. And Atlantic City is only an hour away. From Oceanport it is only a few minutes drive to the Garden State Parkway Exit 105. Public school students will attend the Oceanport School District. In addition, students from Sea Bright attend these schools. Kindergarten through fourth grade students will attend Wolf Hill Elementary School. Middle school students in grades five through eight will attend Maple Place Middle School. And when students reach high school those students will attend Shore Regional High School. Additionally, there are private schools in the area. Students entering high school they may also apply to one of the five high schools in the Monmouth County Vocational School District. Specialized courses are available in fields such as computer science, and biotechnology. Also courses in the medical and science fields are available, among others.